Dermatologists at the UT Southwestern Monty and Tex Moncrief Medical Center at Fort Worth work with patients to prevent, diagnose, and treat a full spectrum of dermatological conditions. In addition to treating common conditions like acne, warts, and eczema, we are also experts at diagnosing and treating more complicated and uncommon conditions. We offer yearly skin exams to help our patients prevent skin cancer, see patients for cosmetic procedures, and offer other services such as phototherapy as well. We also have deep expertise in Mohs surgery, a form of excisional surgery that can effectively remove most skin cancers one layer at a time. 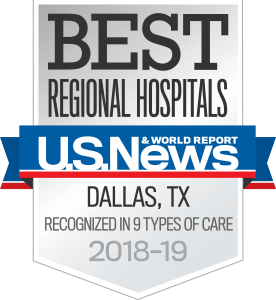 Patients who are treated at the Moncrief Medical Center benefit from access to the entire UT Southwestern dermatology practice – the largest dermatology group in North Texas. It is very important that you do not run out of your medication. Be sure that you have sufficient refills to last until your next appointment with your dermatologist. We are happy to provide you with a written prescription upon request.